I don’t typically write up a lot of posts about admin software unless I find something that I feel is truly worthy of letting others know about. As many of you do, I use a lot of different utilities day to day that help accomplish the end goal of getting the job done. 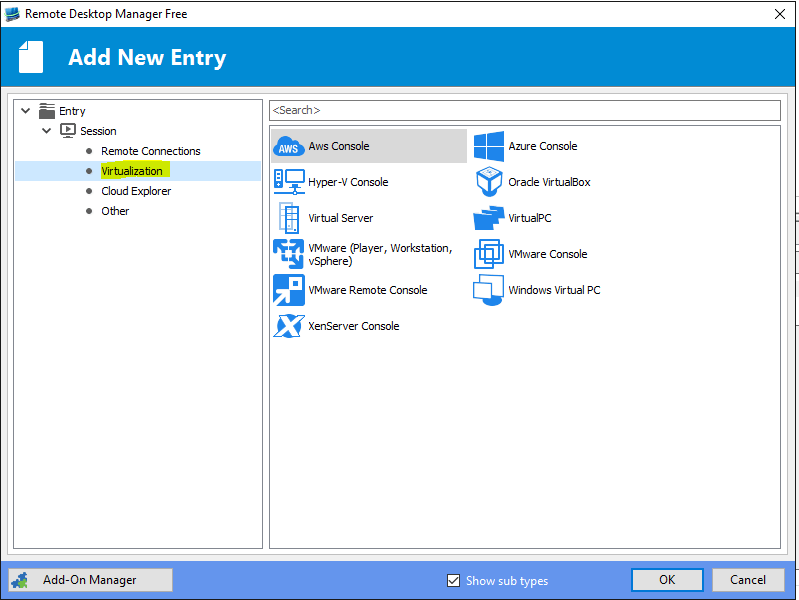 When it comes to RDP, in the past I have used Microsoft’s Remote Desktop Connection Manager which at its latest iteration is at version 2.7 which is still old. Since moving to Windows 10, I have had some flaky issues with this version and resorted back to using just the builtin Remote Desktop Connection utility (mstsc) to make connections. 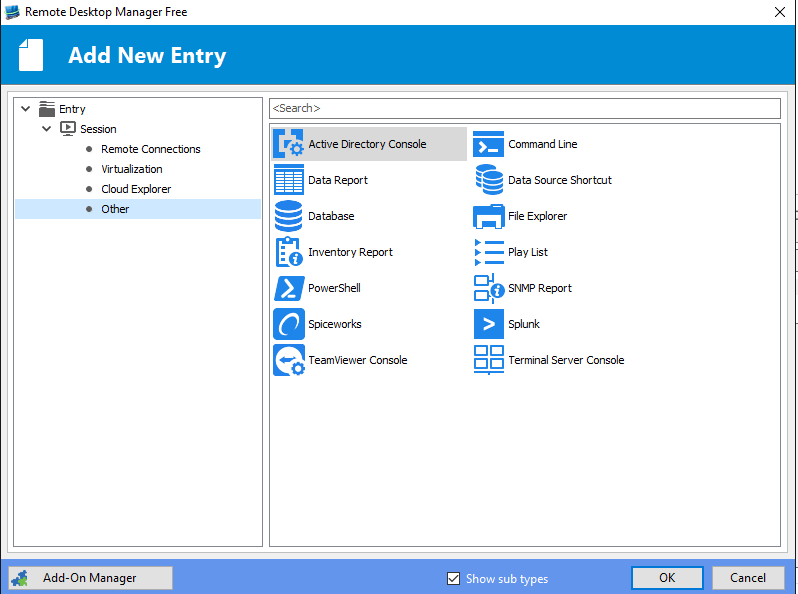 However, I stumbled on a great utility that is a superb Remote Desktop Connection Manager replacement and goes much further than that. 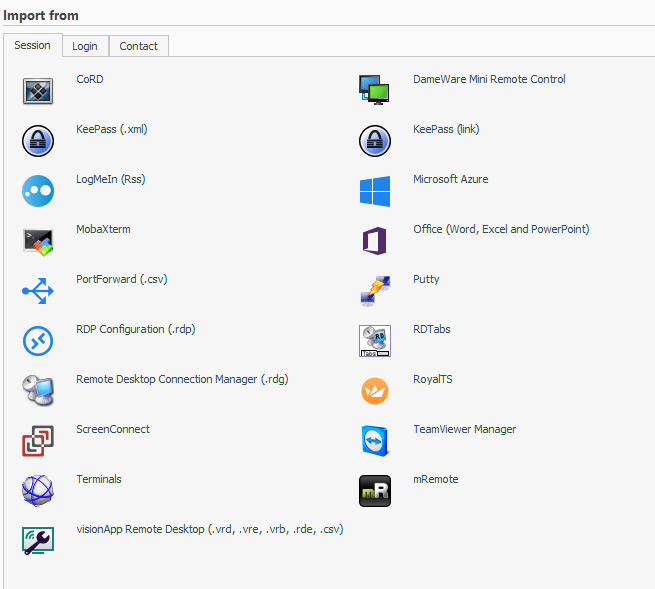 It is Remote Desktop Manager from Devolutions. There are (2) flavors of the app – an enterprise version (pay, version 11.5) and a free version (version 2.5). 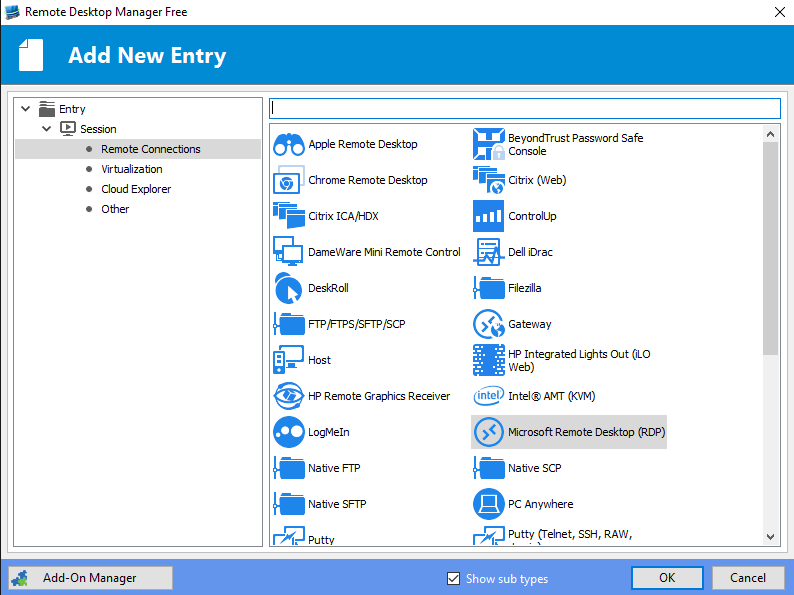 I must say that the free version is about as full featured as it gets especially if you are simply looking for a remote desktop connection manager replacement utility and something much more. Let me explain. 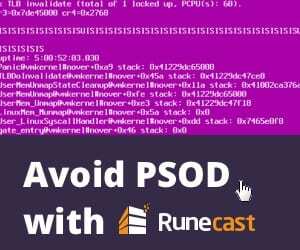 You might be thinking this is just another tabbed remote desktop connection utility, however, where I got excited and I think you guys will too, is that this utility can also do SSH, telnet, and a myriad of other connection protocols. So not only can you have all of your RDP sessions in a tabbed session, but you can have your router/switch connections right along side your RDP connections. Think SuperPutty meets RDC Manager meets just about any other connection utility you have used. 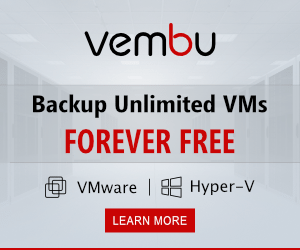 The other really nice thing that I know you are probably thinking is – how do I get all those other remembered connections in my other utility over to RDM free? 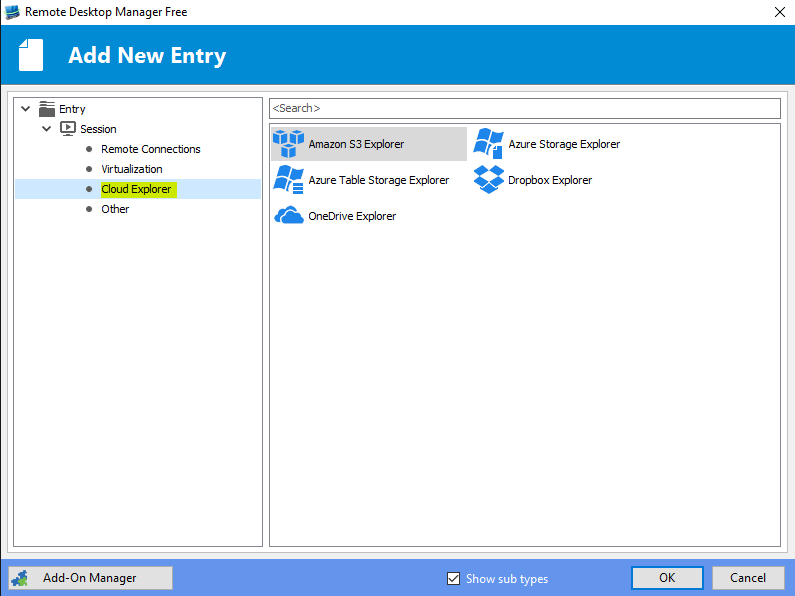 Well, there are a number of selections that you can do to Import that allow you to point to RDCM files, and other for remote desktop. You can point to Putty connections, MobaXterm, and others. A bummer for me or at least in the while since I have been playing around with it, I was not able to get it to successfully import my generated XML file from SuperPutty. It acts like it was going to import, but simply doesn’t do anything. However, the features of this app were good enough that I was willing to recreate my entries. 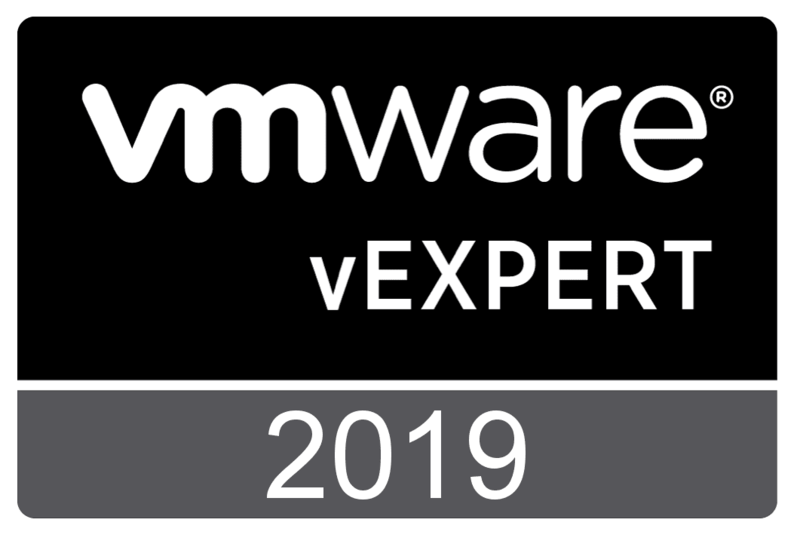 As you can see below, I just clipped the “Add New Entry” screen and the connection varieties here are just staggering – Remote Connections, Virtualization, Cloud Explorer, and other. 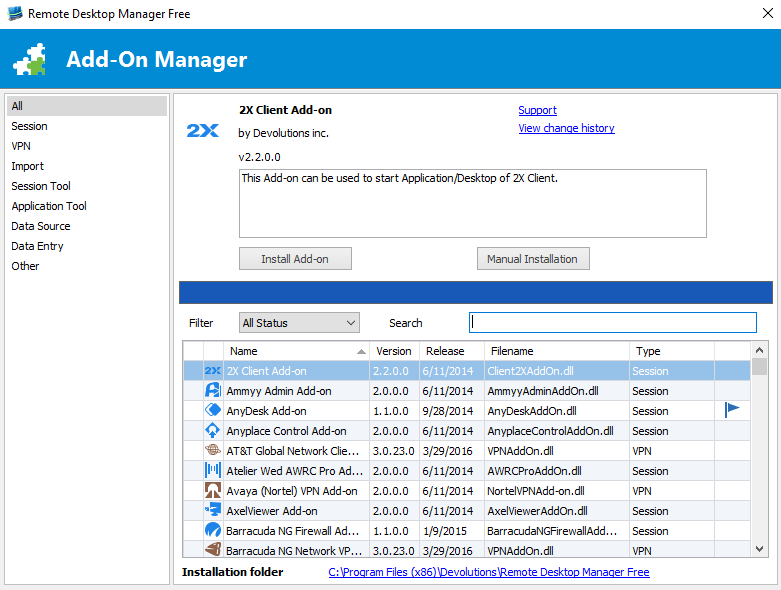 There is even an Add-On Manager which has a ton of additional add-ons that can be installed. 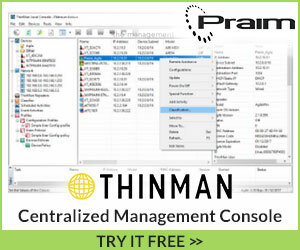 You could literally replace everything you use with this console. There are a couple of minor gripes that I have. 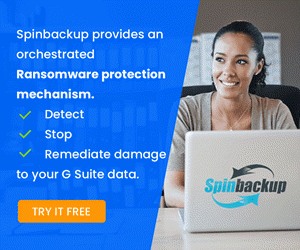 One of which I have already mentioned above – The backup to XML from SuperPutty and then import into Remote Desktop Manager Free didn’t work for me. Also, in the built in SSH session, oddly enough, the colors were a bit difficult to customize – even when selecting “custom” there wasn’t an obvious way to customize using RGB colors. 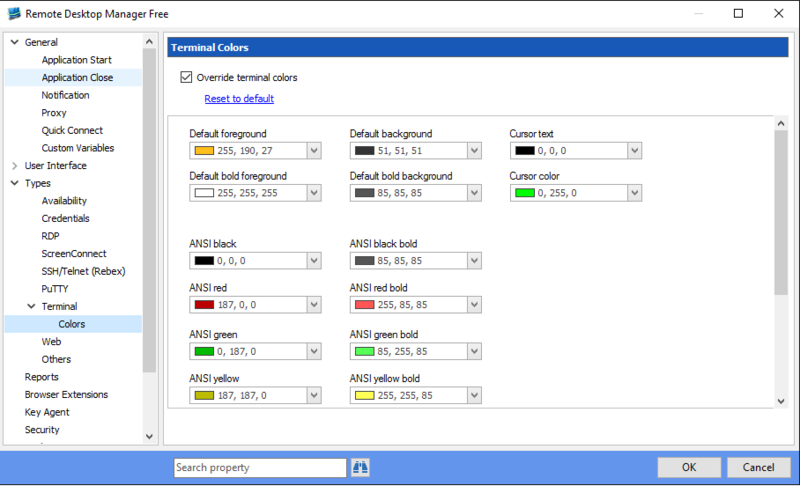 There is an option I found under the global “Options” that did the trick however, that allows you to “Override terminal colors”. In this dialog box, I was able to set the RGP colors to what I wanted them to be and it took effect on all terminal sessions I had setup. 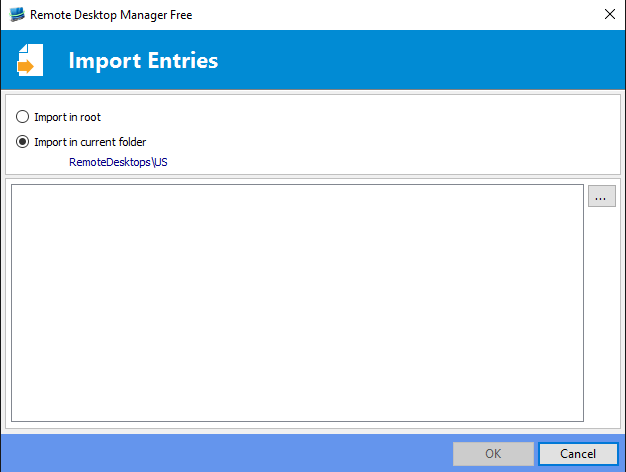 In my opinion, the Remote Desktop Manager Free software is the best remote desktop connection manager replacement that I have found. 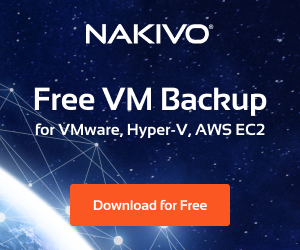 The options are incredible and so diverse, that you probably won’t have a need for any other connection software period.